A great gift idea for those train buffs that are so hard to buy for! 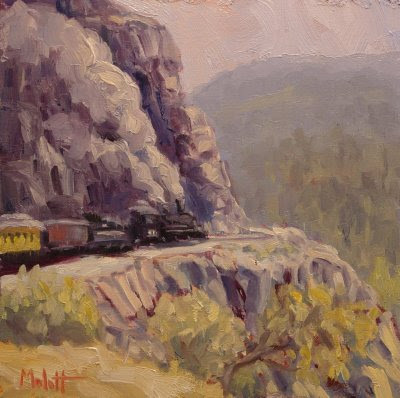 I have painted this train climbing the San Juan mountains in my mind ever since we rode on this narrow guage railroad. I finally put it in paint. This view was so incredible. I took this shot from one of the windows of the Pulman coach car towards the back of the train. It was breathtaking watching the locomotive pull us up and around the side of the mountain. The sound of the engine chugging away to pull all those cars up the mountain, the clickety clack of the track, the cinders in the air and the rocking of the cars, what an awesome experience. You could lean out (careful of any trees sticking out ahead of you) and look down over a thousand feet! This awesome journey runs most of the year on the Durango / Silverton in Colorado. This looks so cool! We were there on vacation, but got there too late in day, missed taking the train. WOW. What a great experience. You really captured it! 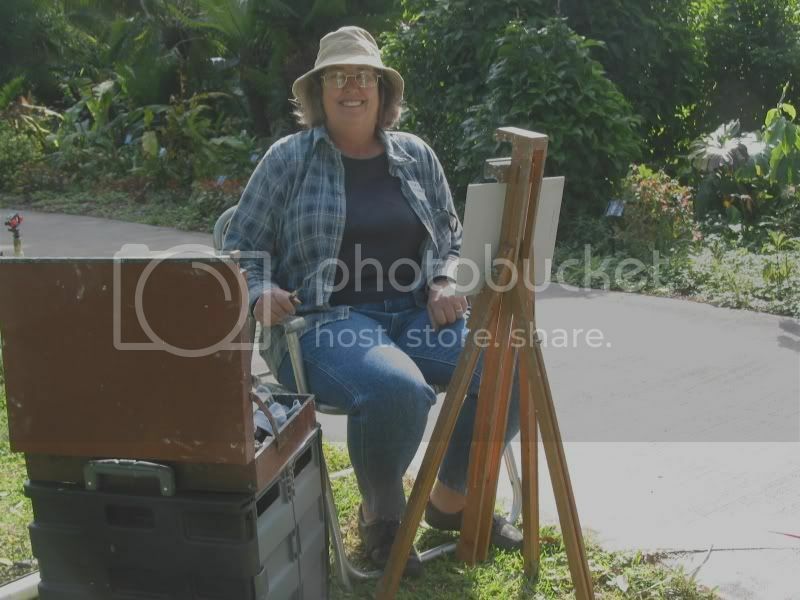 Your brushwork is buttery and I also like your palette. BTW this composition is very good from foreground to background. Using the curves of the land and the train beautifully.